Do you have leftover tri-tip? Then, you'll love this recipe! Spray a frying pan with cooking spray, and turn heat to medium-high. Add the onions and cook until opaque. 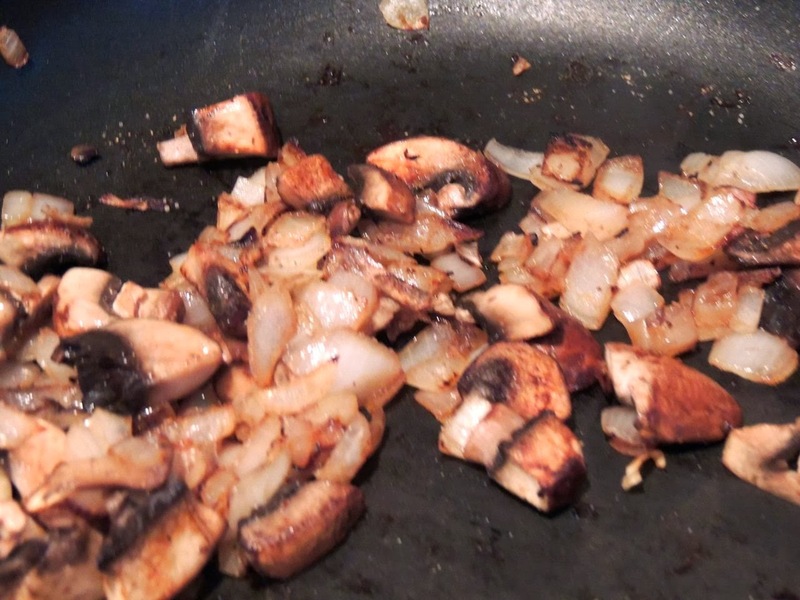 Add the mushrooms and cook until all the water is removed and the onions are caramelized. Spray butter on the rye bread. Heat a griddle over medium heat and spray with cooking spray. Add the bread, and cook until one side of each slice of bread is golden-brown. 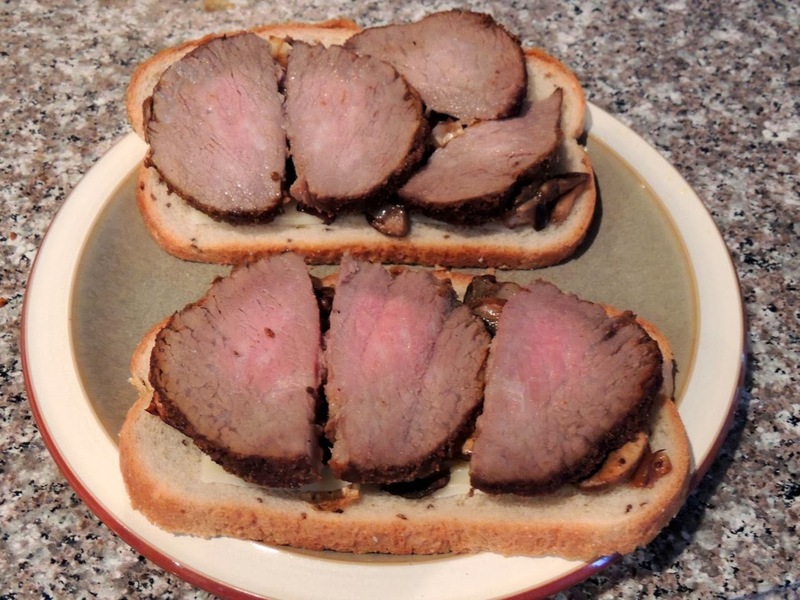 Sprinkle TexJoy on the tri-tip, and build each sandwich as follows. Start with one slice of bread (grilled side up). Add half an ounce of cheese, and top that with half of the mushrooms and onions. Add 4 ounces of tri-tip and another half ounce of cheese. 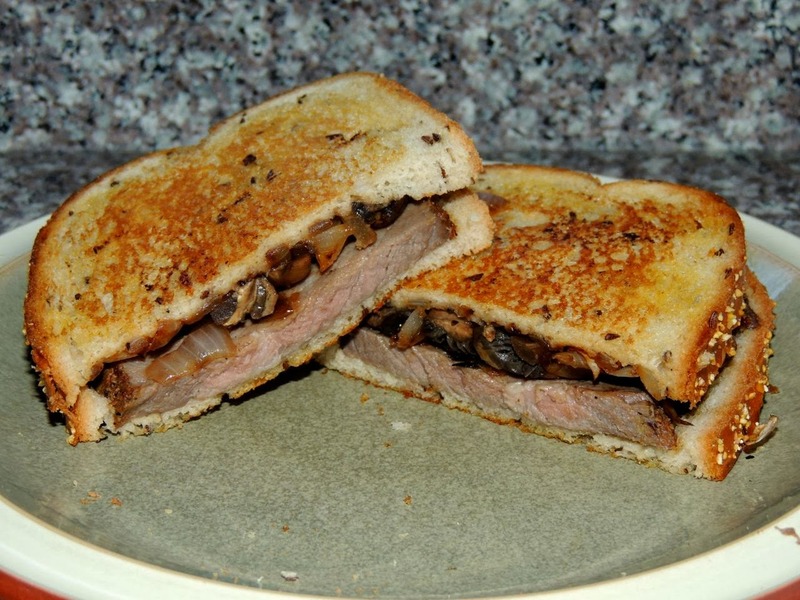 Top with another slice of bread, grilled side down. Spray the griddle with cooking spray and place each sandwich on top. Cook until the bottom side of the bread is golden-brown. 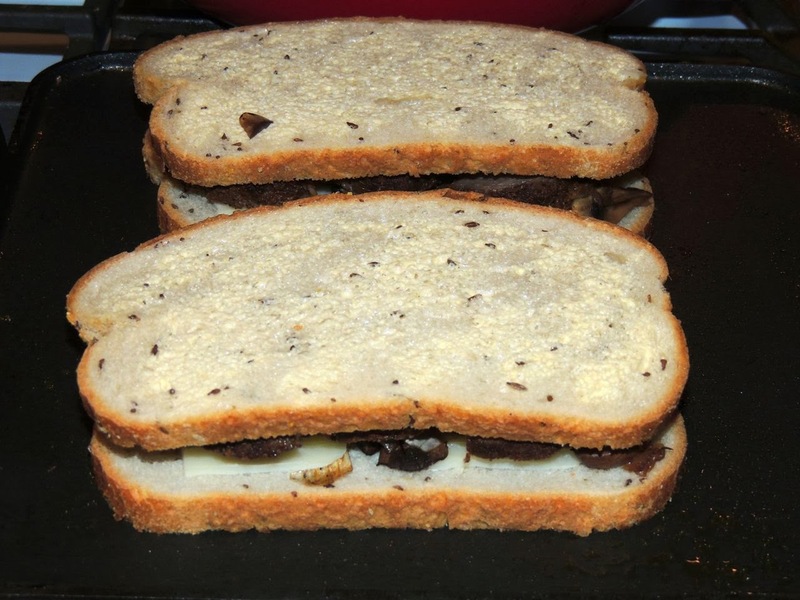 Carefully flip the sandwiches over with a spatula and cook until the cheese is melted and the bottom side of the bread is golden brown. Plate. Cut in half. Enjoy! These sandwiches go well with my Everyday Salad and Baked Sweet Potato Fries.